"The Super Cup has rarely been a match defined by caution – both teams have scored in five of the last six editions – and we don't expect this to be a snoozefest"
It's the start of a new era for Real Madrid, who begin a season without You Know Who in attack for the first time in a decade, some 450 goals later. It goes without saying that they will miss him, and not just as a footballer: they have also lost a talisman, a leader and a good portion of the star power in their squad. Still, at least they've managed to replace him with... oh. Hmmm. Well, as long as Zinedine Zidane is still... ah. This is a bit awkward. Next you'll be telling me that the new manager was involved in a massive PR gaffe on the eve of the World Cup, completely derailing Spain's campaign before it even began. No wonder the mood at the Bernabéu is a little negative. But there's no time for Julen Lopetegui to sulk; it's off to Tallinn for this European curtain-raiser against city rivals Atlético Madrid, and Real will be expected to hit the ground running. There are a few silver linings, if you look for them: the squad is still full of trophy-hoarders, Gareth Bale looks ready to take a starring role, Thibaut Courtois has arrived and Vinícius Júnior is a nice wildcard to have in the squad. But with Barcelona and Atleti having pulled up trees in the transfer market, and no smiling Portuguese assassin to turn to, Real could be in for a relatively tricky season. A summer that started with Antoine Griezmann signing a new contract has got better and better for Los Colchoneros, who have spruced up their squad nicely before the new season. Classy midfielder Rodri has come in from Villarreal, and in Thomas Lemar and Gelson Martins, Diego Simeone now has a fresh set of options on the flanks. Given that all three are under 24 - like Saúl, Ángel Correa, José María Giménez and Lucas Hernández - the future looks very bright indeed. The present should be pretty decent too, given developments on the other side of Madrid; the price on Atlético winning La Liga has crept in to [9.8] and they would no doubt enjoy inflicting a little extra pain on their great rivals on Wednesday night. 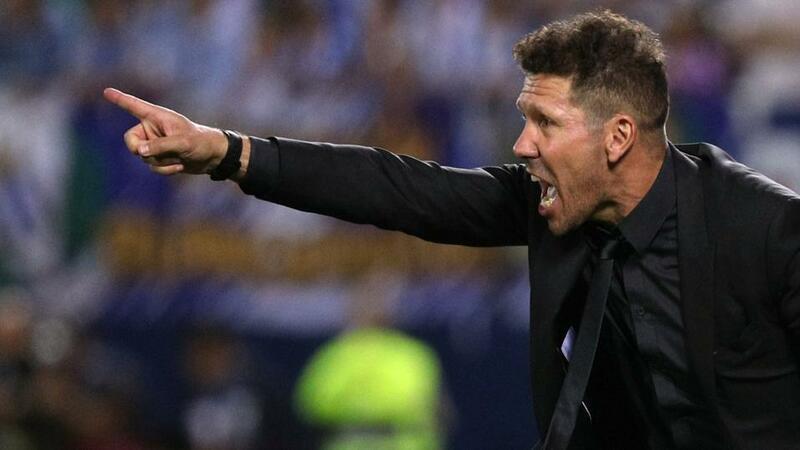 With a tricky opening league fixture - Atleti are away to Valencia on Monday night - Simeone will no doubt see this as the ideal opportunity to build some momentum after some mixed friendly results. Atleti have good pedigree in UEFA Super Cups: they have appeared in two and won them both. They're [3.15] to complete a hat-trick here, although Real have enjoyed themselves every bit as much in this fixture recently, winning three of the last four editions. Indeed, the Champions League winners have triumphed in each of the last five Super Cups. Los Merengues are favourites at [2.6] but with no competitive form to go on, the smart play may be backing the draw at [3.25]. Three of the last five Super Cups have gone to extra time, including the last two games between Spanish sides (Barcelona v Sevilla and Real Madrid v Sevilla). The goals markets are of more interest to us here. The Super Cup has rarely been a match defined by caution - both teams have scored in five of the last six editions - and we don't expect this to be a snoozefest. Real have conceded in all three of their friendly wins (3-1 v Juventus, 2-1 v Roma, 3-1 v AC Milan) and, even without Cristiano Ronaldo, have plenty of firepower. Atlético may be without Griezmann, who only returned to training a week ago, but still have the tools to get on the scoresheet. And given that their only clean sheet this summer came against Cagliari, we like the chances of both teams getting on the scoresheet at [1.93]. On the Sportsbook, you can now select different bets to form your own personalised multiples. In this game, for instance, you could back both teams to score with Gareth Bale finding the net at any time, for a handy price of [4.08].